When it comes to hosting an event, whether a commercial or private affair, the success will depend to a large extent on your audio equipment. You might think it’s okay to rely on your iPod and mini-speakers for your home party, but the difference a decent audio system can make to your celebration is incredible. As the best concert audio company in Perth, we have been providing high-end professional audio services since 1991, and we know the difference we have made to thousands of events. Contact us to ensure the success of your next event. AAA Production Services was founded by three young men in 1991. All of them were already accomplished audio operators and starting a business based on their knowledge and experience was a natural progression. In our many years in the industry, we have been contracted to provide production and audio services for an enormous number of large and small events. This includes Rally Australia, the Red Bull Air Races, numerous musical and corporate events, and the most recent visit to WA of Her Majesty Queen Elizabeth. When Elton John needed an audio company to supply sound for the official opening concert of the Perth Arena, he didn’t bring in a company from Sydney or overseas, he used us. We hire, operate, sell and service a wide range of high quality, professional audio equipment. 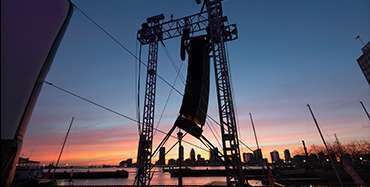 In addition, we are preferred suppliers of technical equipment and event managers for numerous organisations. These include the WA Symphony Orchestra, The Perth Arena and a number of local Shires including the Cities of Perth, South Perth, Claremont and Cockburn. 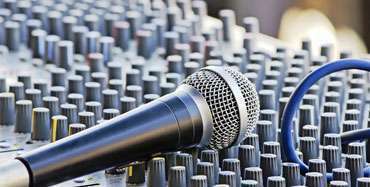 We can sell or supply an array of equipment, including speakers, microphones and mixing consoles. As audio people, we take our sound seriously. Whether you are hosting a conference with keynote speakers or a rock concert, we’ll make sure the sound is top quality and appropriately suited to your needs. We are continuously striving for technical excellence; we use only the best equipment, employ internationally renowned staff, and have 25 years’ experience supplying production and audio for a wide variety of events. L-Acoustic is the most specified concert speaker manufacturer in the world, and we are proud to be the only certified L-Acoustic product supplier in WA, and one of only four in Australia. When you work with us, we go out of our way to ensure the success of your event. We achieve by providing a highly personalised service, using Australia’s best audio and design tools and treating every client and job individually. View our wide range of equipment for sale or hire. When you are looking for great sound, contact Perth’s audio specialists at AAA Productions. We are writing to formally thank you for all the help you provided in making the Wesfarmers Centenary Gala Dinner such a success at Government House. The feedback we received has been extremely positive. Once again, please accept our sincere thanks for contributing to a truly wonderful evening. 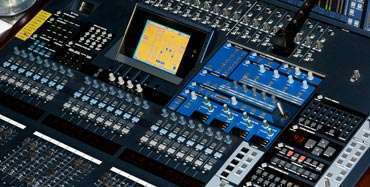 Contact us for all you sound and equipment needs.